This month Oakulture premieres “Women Runnin It,” a new interview series featuring women in dynamic positions of cultural leadership. We begin with Oakland female promoters. Usually behind the scenes, these women are the ones bringing your favorite concerts, shows and nights for you to soak in and live the culture of Oakland. How do they build community and social arts networks? How do they curate a meaningful event or a club party? 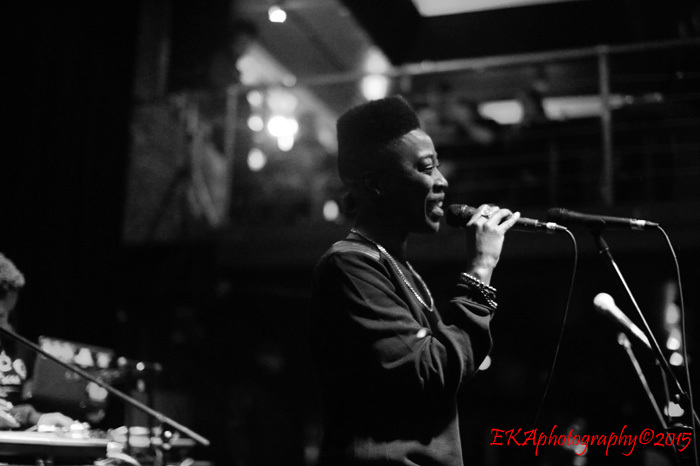 Recently at a Bahamadia concert at Leo’s produced by Chaney Turner of Social Life Productions, the emcee spoke to the need to be actively engaged in creating inclusive community — a crucial component of a culturally-positive nightlife scene. Important to many of us, particularly women and LGBTQi persons, is the ability to go out at night, share our art, enjoy dancing or conversation and not have to defend our bodies and presence. The promoters who are committed to holding this ground for us and advancing it are bringing female artists, gender fluid and non-ratchet parties, and holding down inclusive, ‘safe’ spaces through curating social arts. They are cultural stewards that we at Oakulture value and support. We think you should too. Check out part one in the series, featuring Candi Martinez, here. Our second Q&A interview is with Chaney Turner, founder of Social Life Productions, an event promotion and production company. Chaney is beloved by many and holds down a realness which contributes to the degree to which she is valued in many different communities. 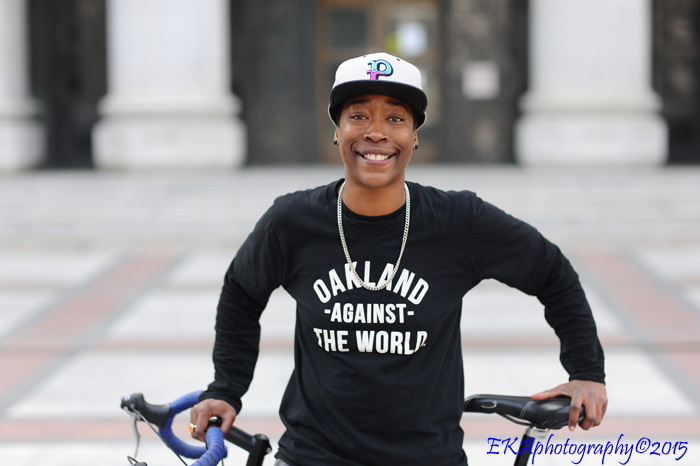 An Oakland native and one of the most well-known promoters inside and outside the LGBT community, she is a cultural activist, community organizer, dance floor igniter and style trendsetter who has helped to shape Oakland’s inclusive, gender-fluid club scene with parties like “The Social Life” and “SpeakerBoxx,” as well as being the former Entertainment Director for Eden Pride SF co-producing EDEN San Francisco Pride from 2012 to 2014 and co-owner/producer of fiveTEN Oakland Pride. “The Social Life”‘s mantra “Be Seen on the Scene” has resonated through Chaney’s work, which continues this month with the “Check the Rhyme: Women’s Herstory Hip-Hop & Art Showcase” this Saturday. Oakulture highly recommends joining their events on Facebook to check out the posted videos. Chaney Turner: I take the relationships that I have with venue owners and their staff seriously. Communication is very important when creating space, it’s a team effort. I work with clubs that are about building community and respecting the patrons who support their business. Chaney Turner: Oakland has always been full of culture. That’s what attracts so many newcomers. These young up-and-coming artists are doing some amazing work! I’m really loving the music and fashion that’s coming out of the town. 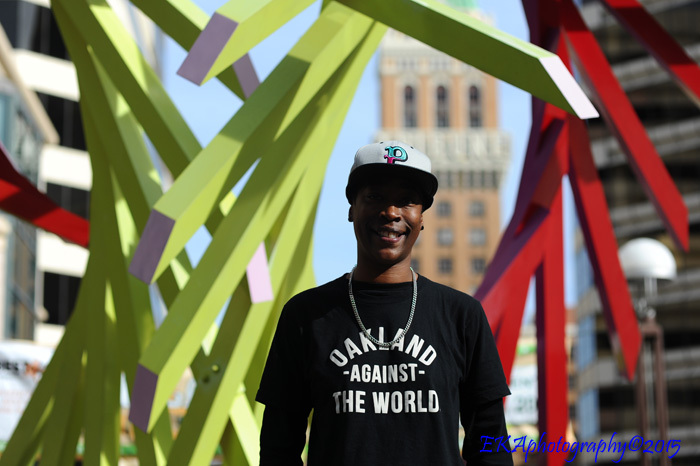 Many talented artists might not be recognized in mainstream media, but are making an impact world-wide and putting Oakland on a larger map. Chaney Turner: I consider myself a visionary, when curating an event I put a lot of thought and intention behind it. Which makes it a little easier to promote/produce. 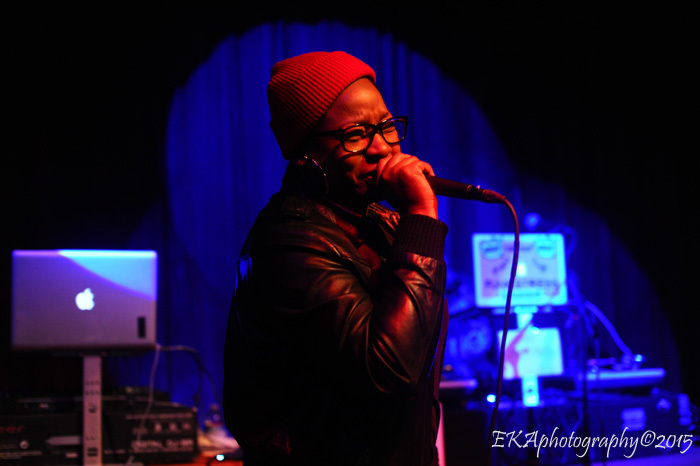 Hip-hop legend Bahamadia performs at a Social Life produced-show. Chaney Turner: When creating events, I try to bring together the perfect elements and people. 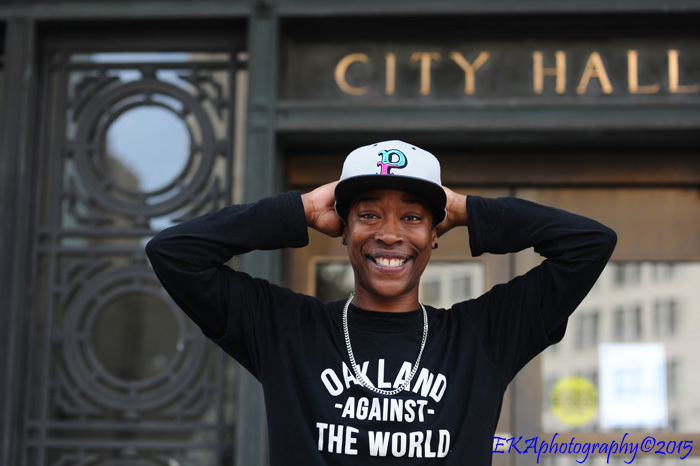 I’m a Queer Black Masculine Identified Woman who’s an Oakland native. I consider myself to be a part of multiple communities and I try to represent that in the events I produce. Bringing together like-minded individuals who respect and admire each other is important to me. Oakland has always had an inclusive scene, especially in the art community. I’m just trying to remind people of that and preserve the culture. Chaney Turner: LOL, great question! I love the work I do, but people think it’s easy because they only see the results of the work and it looks fun. This is my full time job, I have to wear multiple hats on a daily basis. There’s tons of logistics involved, meetings, contracts and schedules that have to be met. You need guts, integrity and a backbone for this work. Event production, promotions & nightlife, period, is a boys club. Women are rarely recognized for the work we do. [That’s] one of the main reasons why I take this work so seriously and grind hard. Chaney Turner: Oprah is my #1 role model. I admire Sean “P. Diddy” Combs for his work ethic and hustle. I really love and admire the art that Ava DuVernay and Shonda Rhimes are doing, creating opportunities for Black women and black people as a whole and being unapologetic about it. I’m proud of the work they’re doing and I’m beyond inspired. Chaney Turner: My Grandmother, Ida Mae Crisp. I thank her and my Grandfather for moving here and raising five children. She also played a major part in raising me. So she is my hero. Also I love admire and respect my sistas. Candi Martinez, Brianna Smith, Chinaka Hodge, Amy Nabong, Traci Bartlow, Jahmese Myers, Alicia Garza. Chaney Turner: Erykah Badu. Missy Elliot. Chaney Turner: Create the life you want. Oakulture: Your next show is the second one this month celebrating international women’s month. Could you tell us a little about why you are producing this next one “Check the Rhyme: Women’s Herstory Hip-Hop & Art Showcase”? Chaney Turner: Women are still under-represented and over-sexualized in this industry. I wanted to highlight the four elements in a positive light. Dance, Art, MCing and DJing are the foundation of hip hop and women have been a part of it since the beginning. Each artist involved is extremely talented, diverse and I respect their craft. I hope our allies and brothers come out to support us as we take charge. Berkeley Underground, 2284 Shattuck Ave., Berkeley. **This version has been updated with additional details from an earlier published version. Categories: OakQ&A, Women Runnin It | Tags: Bahamadia, Chaney Turner, Check the Rhyme, clubs, Eden SF, fiveTen Oakland, Herstory, inclusive, International Women's Day, LBTQi, Oakland Pride, Oakland promoters, SF Pride, Social Life Productions, Speakerboxx, The Social Life, Women in Hip Hop | Permalink. Excellent article. Chaney is an inspiration! Keep doing the much-needed, empowering work you are doing! Thank you!